Suarez, 27, bit the Juventus player during Uruguay's 1-0 win over Italy and has been banned from all football-related activity until the end of October by world governing body Fifa. For the UK's and surrounding region's viewers the live coverage is on Astra 2. Chiellini, said he has "no feelings of joy, revenge or anger against Suarez". Suarez has also been backed by World Cup winner Diego Maradona, who said the extent of the ban was shameful. Sports provider in North Western Europe is for eg. 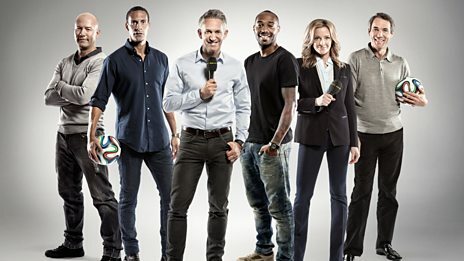 ITV 1 (Colombia vs Uruguay) while BBC 1 Wales shows the match (Brazil vs Chile). The channel is available via Astra 2 @28°East. See channel details in the channels list. Central Europe can follow the events in Brazil via satellite Astra 1 @19°East. The German commentary is available on channel "Das Erste" while the parallel match is to be found on "Eins Festival". Daily alternating is ZDF. Use the Astra 1 channels list to find your setup. There is also a live stream for German internet users HERE.